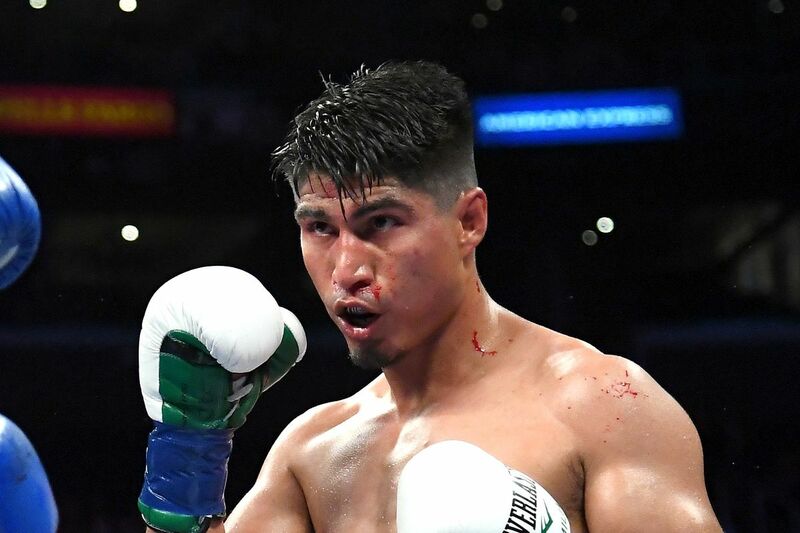 Mikey Garcia has won titles in four weight classes, and next Saturday he goes for a fifth, facing IBF welterweight titleholder Errol Spence Jr in the FOX pay-per-view main event from AT&T Stadium in Arlington, Texas. Garcia (39-0, 30 KO) has fought a few times at 140 pounds, including a win over Adrien Broner and a world title win over Sergey Lipinets, but the move to 147 is seen as particularly dangerous for him, especially because he’s not just facing some tune-up opponent, or even some average contender type. He’s taking on an unbeaten, powerful, very skilled young fighter in Spence (24-0, 21 KO), who has his supporters in his case for being the world’s best welterweight at the moment.